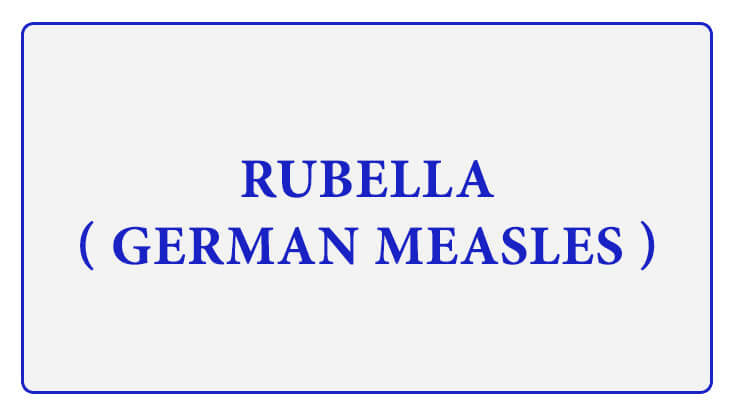 Rubella infection is sometimes called German Measles or 3-day Measles. It is a generally mild disease caused by the rubella virus. Rubella virus is classified as a togavirus, genusRubi virus. It usually strikes in the winter and spring and causes a slight fever, a rash on the face and neck, and (when teenagers or adults get the disease) swollen glands in the back of the neck and arthritis-like symptoms in the joints. It is spread from person to person through the air, by coughing, sneezing or breathing. The incubation period of rubella is 14 days, with a range of 12–23 days. What If Rubella Infected in the Early Pregnancy? The greatest danger from rubella is to unborn babies. If a woman gets rubella in the early months of her pregnancy, there is an 80% chance that her baby will be born deaf or blind, with a damaged heart or small brain, or mentally retarded. This is called Congenital Rubella Syndrome (CRS). Miscarriages are also common among women who get rubella while they are pregnant. The virus may affect all organs and cause a variety of congenital defects. Infection may lead to fetal death, spontaneous abortion, or premature delivery. Know more on What can happen If You Aren’t MMR Vaccinated during pregnancy? The mean incubation period is 14 days. In its typical clinical form, the disease is characterized by a transient erythematous rash with moderate fever, conjunctivitis, coryza, and sub-occipital adenopathy (swelling of neck lymph nodes). In the case of CRS, infants develop ophthalmic, auditory, cardiac, and craniofacial malformations, which are more severe when transmission occurs early during pregnancy. MMR, rubella vaccine is safe and more immunogenic. In clinical trials, 95% or more of vaccines aged 12 months and older developed serologic evidence of rubella immunity after a single dose. More than 90% of vaccinated persons have protection against both clinical rubella and viremia for at least 15 years. Vaccination of adolescent and adult males may be a useful procedure in preventing or controlling outbreaks of rubella in circumscribed population groups. Non-pregnant adolescent and adult females: Immunization of susceptible non-pregnant adolescent and adult females of child-bearing age with live attenuated Rubella virus vaccine is indicated if certain precautions are observed. Vaccinating susceptible postpubertal females confers individual protection against subsequently acquiring rubella infection during pregnancy, which in turn prevents infections of the foetus and consequent congenital rubella injury. Women of childbearing age should be advised not to become pregnant for 28 days after vaccination. Postpartum Woman: It has been found convenient in many instances to vaccinate rubella-susceptible women in the immediate postpartum period. Re-vaccination: Children first vaccinated when younger than 12 months of age should be revaccinated. Based on available evidence, there is no reason to routinely revaccinate persons who were vaccinated originally when 12 months of age or older. However, persons should be revaccinated if there is evidence to suggest that initial immunization was ineffective. Rubella vaccine can be safely and effectively given simultaneously with DTP, DT, TT, BCG and Polio vaccine (OPV and IPV), Hepatitis B and yellow fever vaccine. Rubella vaccine is available in combination with measles and mumps, known as MMR vaccine. 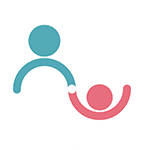 MMR is indicated for active immunization in children of 12 months to 12 years of age against Measles, Mumps and Rubella infections simultaneously. The first dose of rubella containing vaccine ( MMR ) should be given on or after the first birthday. The second dose of MMR vaccine should be given routinely at age 4–6 years before a child enters kindergarten or first grade. Reconstitute the freeze-dried vaccine by adding 0.5 ml of the diluent (sterile water for injection) to the single-dose vial by using sterile disposable syringe and needle. With gentle shaking, the dried cake is easily dissolved. After reconstitution, the vaccine should be used immediately. A single dose of 0.5 ml should be administered by deep subcutaneous injection into the upper arm. The reconstituted vaccine must be used immediately otherwise it should be discarded. 9 months Measles Deep subcutaneous injection into the upper arm. 12-15 months MMR -1 Deep subcutaneous injection into the upper arm. 5 years MMR -2 Deep subcutaneous injections into the upper arm. Are Any Adverse Reactions Reported after MMR Immunization? Rubella vaccine is very safe. Most adverse reactions reported following MMR vaccination (such as fever and rash) are attributable to the measles component. Joint symptoms, such as arthralgia (joint pain) and arthritis (joint redness and/or swelling), are associated with the rubella component of MMR. Arthralgia and transient arthritis occur more frequently in susceptible adults than in children and more frequently in susceptible women than in men. Please ensure that the vaccine is administered by subcutaneous route only. In a rare case anaphylactic shock may occur in susceptible patient and for such emergency please keep handy 1:1000 adrenaline injection ready to be injected intramuscularly. This will help in tackling the anaphylactic shock/reaction effectively. Burning and / or stinging of short duration at the injection site have been reported. Mild local reactions such as induration, urticaria, rash, malaise, sore throat, fever, headache dizziness, nausea, vomiting, diarrhoea, regional lymphadenopathy, polyneuritis and arthralgia and / or arthritis may occur. Local pain, wheal and flare, induration and erythema may occur at the site of injection. Reactions are usually mild and transient, cough and rhinitis have also been reported. Moderate fever (101-102.9°F) occurs occasionally and high fever over 103°F occurs less commonly. There are few contraindications to the administration of rubella vaccine. Individuals receiving corticosteroids, other immunosuppressive drugs or undergoing radiotherapy may not develop an optimal immune response.  The vaccine should not be given in acute infectious diseases, leukemia, severe anemia and other severe diseases of the blood system, severe impairment of the renal function, decompensated heart diseases, following administration of gamma globulin or blood transfusions. Low-grade fever, mild respiratory infection or diarrhoea and other minor illness should not be considered as a contraindication. It is particularly important to immunize children with malnutrition. Since the effect of the live rubella vaccine on the fetus is not known, it is also contraindicated in pregnancy. Rubella vaccine should not be administered to women known to be pregnant. Because a risk to the fetus from the administration of these Live virus vaccines cannot be excluded for theoretical reasons. Women should be counselled to avoid becoming pregnant for 28 days after vaccination with Rubella vaccine. Rubella vaccine may be used in children with known or suspected HIV infection. Although the data are limited and further studies are being encouraged, there is no evidence to date of an increased rate of adverse reactions using this or other rubella vaccines in symptomatic or asymptomatic HIV infected children. Rubella vaccine should be avoided in other cell-mediated immune deficiency states. "This blog is for information sharing only & in no way of a prescriptive nature. Parents should consult the Doctor before Opting out for any vaccination for their child at all times." What all precautions and care is needed when baby..